After hating the initial images, I was pleasantly surprised to see some LEGO® Angry Birds sets 'in the brick' recently... full of craziness, fun colours and those cute piggies left me squealing with delight. Now, our angry mummy bird (too many nappies to change now she has twins), Elspeth De Montes, has written a review revealing some of the most interesting new parts included in this range. 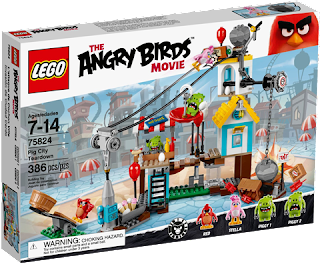 It is time for another one of my New Elementary reviews and this time I turn my eyes to 75824 Pig City Teardown. Last time, when reviewing 10247 Ferris Wheel, I had to apologise for not actually building the set but this time I can proudly say “here’s one I prepared earlier…” and show off my own review over on The Brothers Brick. I'll link to the review at the end as I want to show you all the lovely details first. We return to our LEGO® BIONICLE reviews today and this time it is the turn of Andrew Barnick to look at one of the 2016 sets, 71310 Umarak the Hunter. Bionicle’s second year may have brought new forms and allies for the heroic Toa, but what are heroes without a villain to fight? 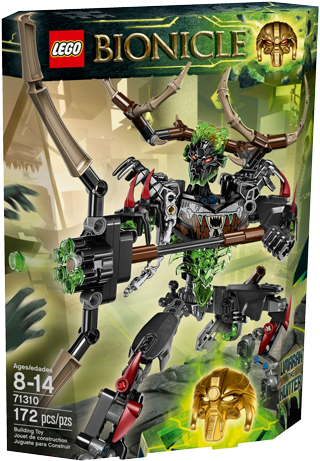 Umarak the Hunter is the Toa’s newest foe, and may be one of the most impressive villain sets of the rebooted Bionicle theme. Umarak may share the $19.99/£14.99/19.99€ price point with the largest standalone Toa sets, but at 172 pieces, this set has more parts than any other set in the rebooted Bionicle theme (including more expensive combo sets like last year’s 70795 Mask Maker vs. Skull Grinder or this year’s 71311 Kopaka and Melum Unity Set). And as is to be expected for a new Bionicle set, many of those parts are brand-new designs and recolors. Let’s take a look! A quick post to alert you to two fantastic community resources regarding LEGO® colours and parts which Huw Millington has now integrated to Brickset, making the world's most popular fan site about LEGO even better! 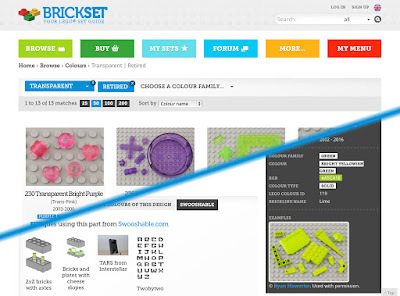 All week we've been enjoying amazing creations that use a selection of new 2016 LEGO® parts, built exclusively for New Elementary by a fantastic bunch of AFOLs from the UK. It's been all Spacers so far but today we have one last builder who is not a Spacer: Elspeth De Montes. She brought things firmly back down to a domestic setting! 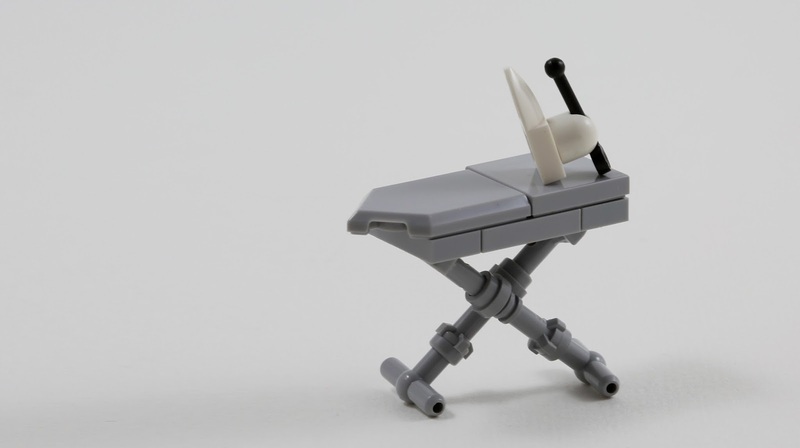 The shape of the Nexo shield caused her to think of an ironing board. "It’s not exactly going to win the Dyson innovation award for Most Stable Ironing Board," admits Elspeth, but it certainly is delightful I'm sure you will agree.